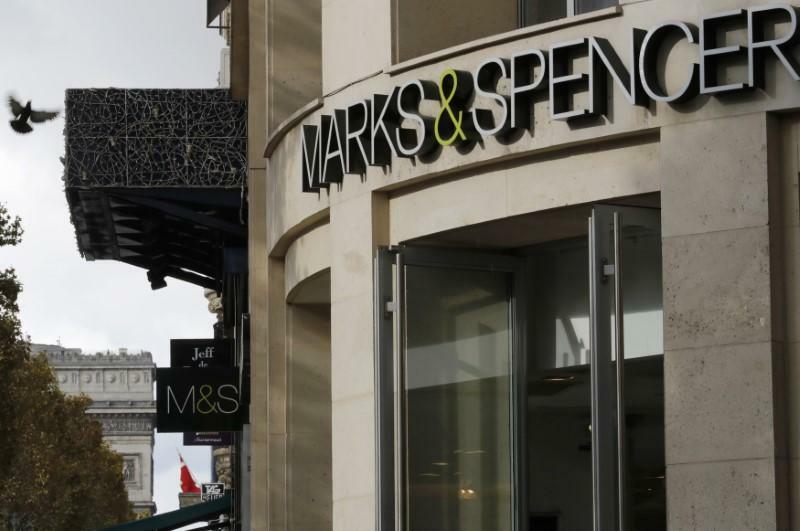 LONDON (Reuters) - Marks & Spencer warned of an increasingly tough trading environment after disruption from the latest attempt to reinvent Britain's most famous retailer dented first half sales and profit margins in both its food and clothing businesses. After over a decade of failed turnaround programmes, the 134-year-old retailer is now targeting sustainable, profitable growth in three to five years by shutting its less-successful stores. It warned on Wednesday that sales were unlikely to improve any time soon. "Trading conditions remain challenging and the headwinds from the growth of online competition and the march of the discounters remain strong in all our markets," it said. M&S's latest turnaround plan was launched last November, two months after retail veteran Archie Norman joined as chairman to work alongside Steve Rowe, who has been with the company for almost three decades and became chief executive in 2016. "The results are roughly what we expected them to be," Norman told reporters. "I'm not saying they're not important but they're not the most important thing to us. The most important thing is where we are in transforming this business." First half results showed M&S's previously reliable food business was particularly weak, with like-for-like sales down 2.9 percent, below expectations of a 2 percent fall, and gross margin down 25 basis points. Rowe said new food boss Stuart Machin was tackling poor availability, removing "pretty confusing deals and promotions" and lowering prices to better compete. For example, prices on 100 Christmas lines are being cut. Underlying sales in the clothing business -- long Britons' first port of call for school uniforms, interview suits and underwear -- fell 1.1 percent, while gross margin was down 20 basis points. "We're still buying too many (clothing) lines, we're too broad and too shallow – the result of that is we've not optimised the sales we could have had. We are letting customers down in terms of availability," said Rowe, who last year poached Jill McDonald from Halfords to lead the business. Shares in M&S, which had fallen 4 percent this year, slipped 0.9 percent to 299.5 pence at 1530 GMT. M&S's latest plan is a five-year programme of store closures and relocations to cut excess selling space in its clothing business, moves to make the misfiring food business more competitive, along with increased technology and supply chain investment. It is targeting 100 British store closures by 2022 as it strives to make at least a third of clothing and home sales online. It said it could close even more as it manages its property estate more actively. There have been 29 closures so far. "We're going bloody fast, trust me," said Rowe, dismissing analysts' concerns that the speed and magnitude of M&S's plan will prove insufficient given how quickly and profoundly the UK retail market is changing. "There is no stone unturned in the business," he said. Rowe dismissed any suggestion of tension between him and Norman, a hands-on chairman most famous for his revival of supermarket chain Asda in the 1990s. M&S maintained its full-year outlook and interim dividend after cost savings helped underlying profit rise 2 percent to 223.5 million pounds ($293 million) in the six months to Sept. 29, ahead of analysts' average forecast of 203 million pounds. Illustrating the extent of M&S' decline, first-half profit in 2007 was 452 million pounds. M&S has reported two straight years of profit decline. Analysts are forecasting a third when it posts 2018-19 results in May. "Any path to recovery for M&S continues to look long and uncertain," said analysts at Liberum. "On the food side, we think investment in technology in stores is not going far enough. There are longer term pressures from the likes of Amazon-Go and the rise of takeaway platforms such as Just Eat and Deliveroo," they said.